The winners of the 2014 Kent Design and Development Awards have been revealed, with a primary school named Project of the Year. Eighteen projects were shortlisted for the seven category prizes by the judges, with the overall Project of the Year voted for on the night from among the category winners by more than 150 guests who attended the event held at County Hall. Taking home a total of three awards, Goat Lees Primary School in Ashford was voted Project of the Year. Designed by Pellings, Bromley, with support from Crofton Design Associates, based in Hadlow, the school makes the most of natural light and ventilation, with intelligent use of space and strong links with the outside. The building, which is for community as well as educational use, also utilises photovoltaic and solar thermal panels. Goat Lees also won the Environmental Performance award, sponsored by The Woodley Coles LLP and the Public Buildings category, sponsored by Kent Construction Focus Group. Sponsored by Kent County Council, DHA Planning and Maxim, the awards showcase the many excellent construction projects taking place across the county and take place every two years. The other winners were Sandwich Town Tidal Defences (Civils & Infrastructure), Medway Crematorium (Commercial, Industrial & Retail), Cyclopark in Gravesend (Public Buildings – Community) Pobble House (Residential – Minor) and Horsted Park, Medway (Residential – Major). 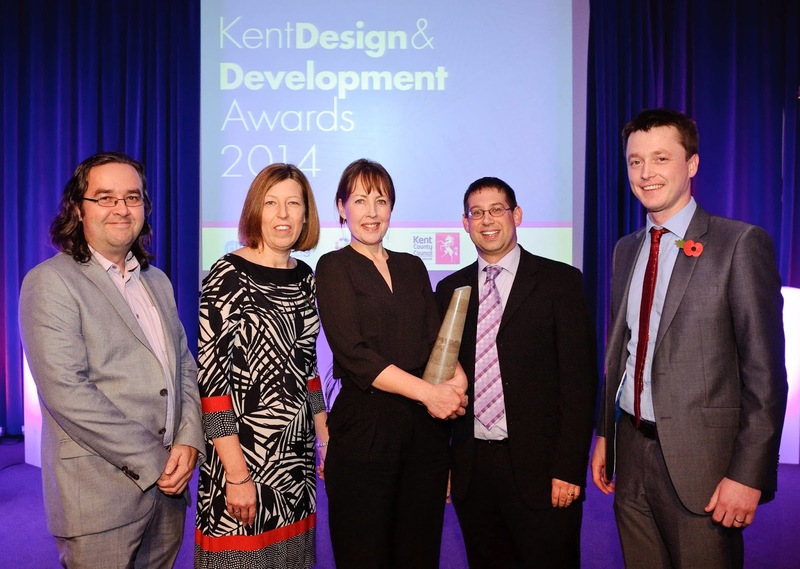 Visit www.kentdesigndevelopmentawards.co.uk to find out more.